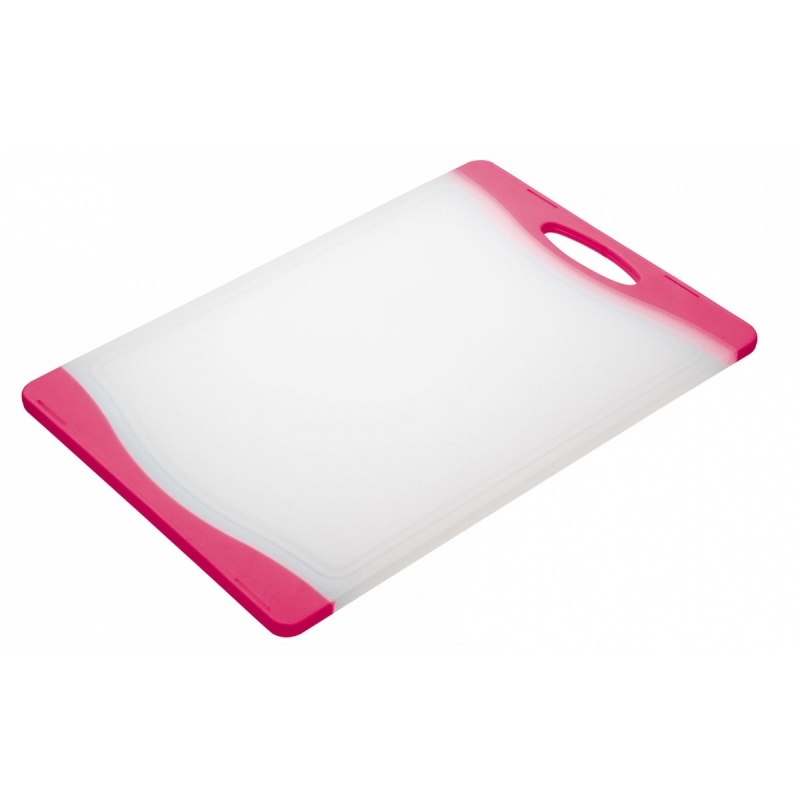 This non-toxic, anti-slip, stain resistant chopping board provides the flexibility of being reversible, thereby allowing you to cut meats on one side and fruit and vegetables on the other. This anti-slip, stain resistant chopping board provides the flexibility of being reversible, thereby allowing you to cut meats on one side and fruit and vegetables on the other (avoiding cross contamination of food). The surface is also designed to be gentle on knives ensuring your blades stay sharper for longer. 36½ cm x 25cm / 14½" x 9½"